Peter Stephen Hill, a risk analyst from Skipton, was detained under the provisions of the Official Secrets Act 1911 but charged under the Explosives Substances Act 1993. Police refused to comment on a reports that the man was arrested for allegedly planning to pass classified information to Russia. Pravda.Ru has interviewed Professor Richard J Aldrich, Department of Politics and International Studies University of Warwick, to find out more about this spy scandal and about the work of intelligence networks. Pravda.Ru: Can such charges be treated as the lack of evidence of his cooperation with Russian special services? Richard Aldrich : I guess the materials he had were no big deal, the sorts of things that lots of soldiers pick and take home. But it might provide a convenient holding charge while they review the espionage case they will be looking to see what they can charge him with while avoiding revealing their own counter-espionage techniques and sources. The UK has a long record of foolish people who have tried to sell military documents of only modest importance to foreign embassies and have approached them direct - he might be one of those people. 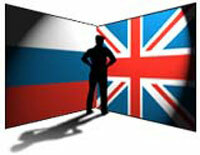 Pravda.Ru: Can such a situation lead to the deterioration of UK-Russia relations? In what way? Richard Aldrich: Unlikely, he is not a big-time spy, most diplomats and politicians are not interested in this low-level activity, its different to some of the other recent spy-flaps of the last three years that have been more serious. Pravda.Ru: What are the scales of activity of American, British and Russian spy networks in other countries? Richard Aldrich: Still quite large, and there is now an odd pattern of competitive co-operation. They all co-operate quite closely on issues like counter-terrorism, but compete on issues like economics and trade. It does not seem so odd to the intelligence officer on the ground, since each person only sees a small amount of the picture and just focuses on their local task, but it seems odd to us. In the UK the big problem is that the security services and the police are overstretched by terrorism and have little time to watch overseas intelligence services operating in the UK. At least thirty intelligence services are quite active in the UK and if each only has five active people, that is still a lot of people to watch. You might look at the full text of the recent speech by Jonathan Evans, it is intelligence and quite quotable. Last week, head of MI5 security service Jonathan Evans had complained that Russian spying against Britain remained at Cold War levels, diverting intelligence resources that would be better devoted to fighting al Qaeda . "Despite the Cold War ending nearly two decades ago, my service is still expending resources to defend the UK against unreconstructed attempts by Russia, China and others to spy on us," he said in his first public speech since taking over in April. Evans said a number of countries were still actively seeking to steal sensitive civilian and military technology, political and economic intelligence, including via sophisticated electronic attacks on computer networks, Reuters reports. One of the most recent cases of an arrest under the Official Secrets Act involved Ian Parr, a former employee at BAE Systems Avionics. He subsequently admitted the offences and was jailed for 10 years in April 2003. Parr, from Rochford, Essex, tried to sell the Russian confidential details of seven defence projects, including a missile system then being deployed in Iraq. He met his “contact” in a pub but later found out he was in fact trying to betray his country to an undercover MI5 officer. Sentencing Parr, Judge Michael Hyam said the sentence reflected the seriousness of the offences. “I cannot accept that you were so naive that you did not know what you were doing was a risk to the nation’s security,” he said. UK-Russia relations have deteriorated in the last two years. There was particular anger that the Russian authorities refused to extradite suspects thought to be involved in the death of Alexander Litvinenko, a former KGB officer who died of radiation poisoning last November. Last July the British government expelled four Russian diplomats from London in response to the lack of cooperation over the Litvinenko investigation. The Kremlin responded by expelling four British embassy staff, timesonline.co.uk reports.